Hi everyone! It has been a busy week (okay month) around here...but so many things to look forward to! New classes have been created for my fall teaching schedule. So much time and planning goes into the the process (especially Christmas kits). Please check the side bar to see if you can make it to a class in CA, TX or Florida. Yes, kits will be available for some classes (more on that later). 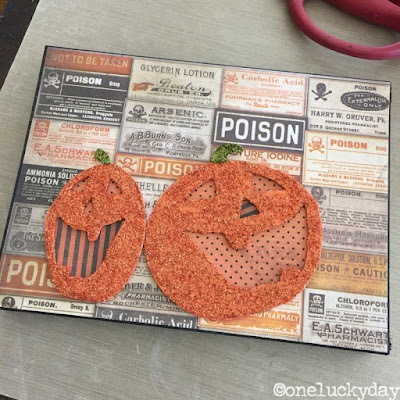 The project today revolves around the new Tim Holtz Halloween die - Jack-o-Lantern. Follow along and I'll show you what I made! I pulled all the burlap off a 6 x 8" Burlap Panel leaving the wood sides and masonite front. I painted all the edges (and a bit onto the front) with Black Soot Distress Paint. 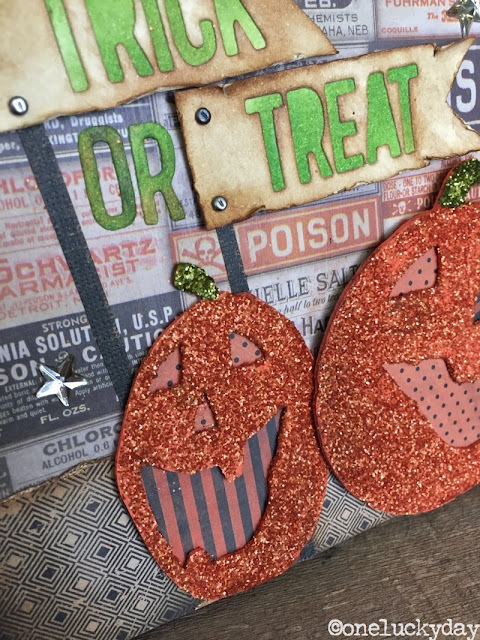 I used Grungeboard to cut the two pumpkin shapes from Jack-o-Lantern die, then painted them with Distress Paint in Rusty Hinge. Once dry, I added a THIN layer of Glossy Accents and a layer of Distress Glitter in Rusty Hinge to match the painted background. The green stem is Peeled Paint Distress Glitter and the paper is from Regions Beyond Paper Stash. 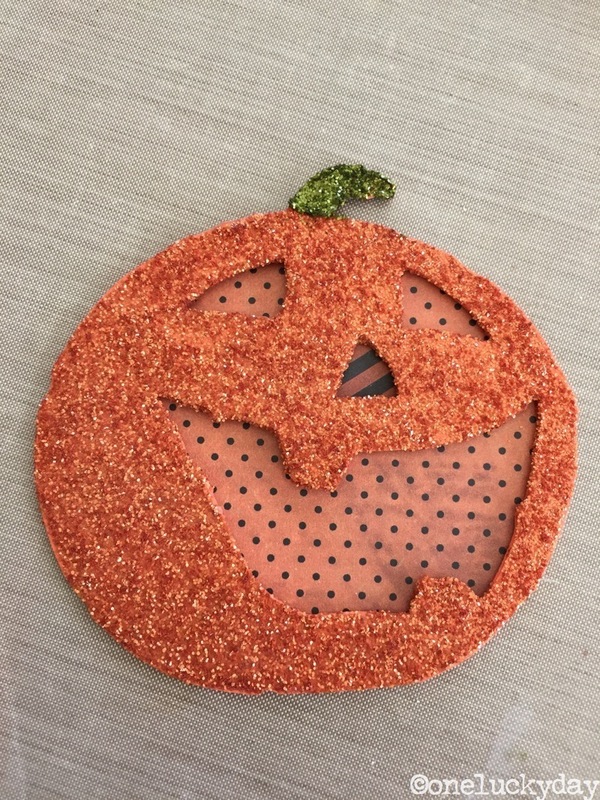 Halloween Words Block is the answer. I cut a couple words from strips of manila cardstock and cut the ends to make them look like flags. I also inked additional cardstock with Twisted Citron for the background. The bottom area needed visual weight so I added another great paper from the Regions Beyond Paper Stash. I sealed the new paper with Multi Medium before adding Black Soot Distress paint to the outside edges. Everything is in place now so I can add the details! Mini Fasteners and foam tape make the flag look like they are waving on the black cardstock poles. The Jack-o-Lanterns were also adhered with foam tape to give them dimension. And for a last little detail, three Mirrored Stars were added to the background. Well, I hope you like my Halloween decor project. I sure do! I also love that I can remove the burlap from the panel to create a whole other look. 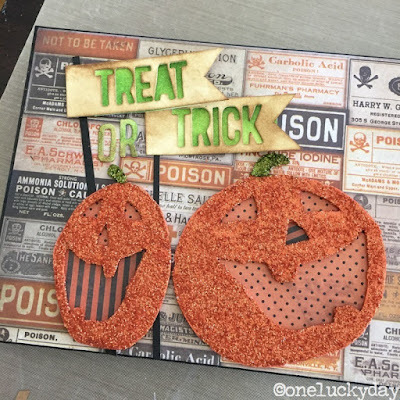 I know I will be using this idea again and there WILL be tack nails involved! Hi Paul, what will you be teaching at Paper Tales in San Diego? Oh, I can't wait for the Christmas Kits. I love the carousel - another year, another fun and creative project! 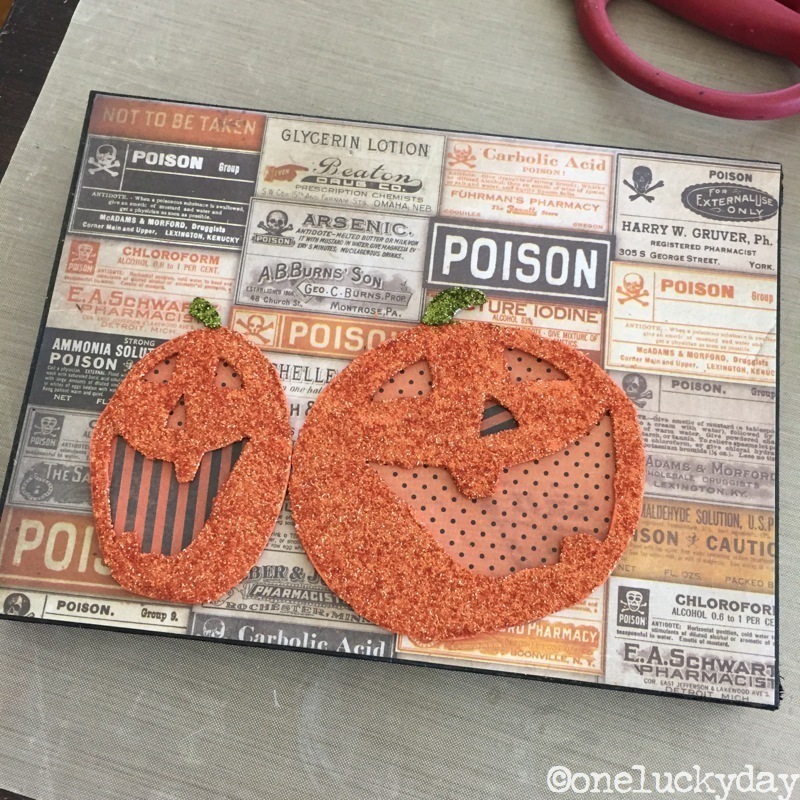 Another fabulous project, Paula! Have fun in Texas! 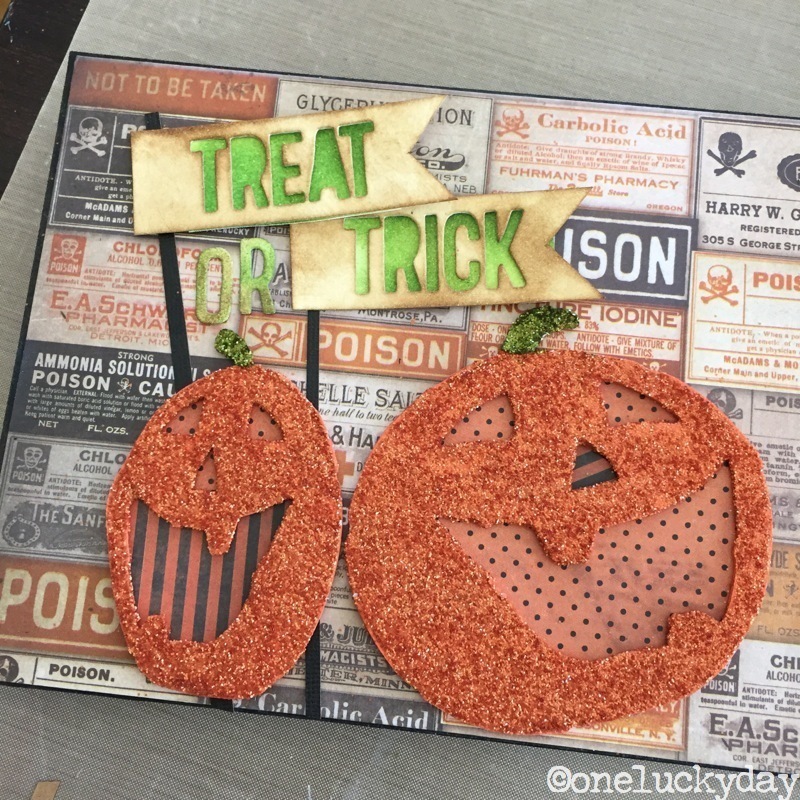 Paula, those jack o lanterns look so festive as dressed up in glitter! Never would have thought to remove the burlap from the panel. Ok, at first I thought my eyes were playing tricks on me but I see that you were playing some tricks with the title flags. Have fun in Texas! Paula - I went and snooped out your classes - that Merry and Bright tree - sigh - it's fabulous! Even better that the kit you had several years ago (a kit I just finished last month)! I hope this is your holiday kit or if you would sell directions! Keep Creating Beauty! You make it all come together beautifully, love those pumpkins! My first thought after seeing the teaser photo in my blog feed was, "Oooh, Paula made cookies! How silly is that? Have to say you are genius for repurposing the burlap panels and your project does look good enough to eat. Happy travels! Love the jack-o-lantern ... especially the eyes , mouth, and nose inset !! Soooo cute! Have a safe trip! This is so cute Paula and I have no doubt that when you're finished with it...it will be totally amazing. Such an adorable beginning. Lucky Day...it's when you get the first parking space at a busy store or when you find the thing that you have been looking for forever or it's finding a friend when you weren't even looking for one. What a LUCKY day.